Join the Thousands of Savvy Guests Who Celebrated at Phoenix's Most MAGICAL SHOW! STEP RIGHT UP and get ready to Laugh, Have Fun, and Celebrate a magical night out in Phoenix with Carnival of Illusion! This top-rated attraction is "Revitalizing Magic" by blending their international travel theme with all the charms of a Vaudeville-inspired theater show. Due to the popularity and intimate nature of this boutique theater, shows sell out. Carnival of Illusion is Magic, Mystery and OOOH LA LA! The special art of magic and illusion is alive and well at Carnival of Illusion. The show is so popular that it now can be seen at three venues in the greater Phoenix area: The Mesa Arts Center, the Tempe Center for the Arts and the Arizona Biltmore Resort. It is a show that is sure to please whether you are on a date-night out or are bringing the whole family for a special occasion. There is plenty of magic and surprise in this well-crafted and travel-themed show. This is an up-close and personal experience, catering to small audiences. You might even be called on to help out with one of the illusions. It's better than a Great Magic Show! There are lots of personal touches like the opportunity to shake hands with the performers after the show. Any questions? Helpful employees are just a phone call away and they are more than happy to help. It is hard to pinpoint when the first conjurers and magicians began to make a trade out of illusion and disbelief. Some references are made on Egyptian papyrus about one who could take the head off a bird and reattach it with no ill effects. It is certain that the ancient Romans performed the timeless trick of Cups and Balls. After that magic fell into disrepute in the West, and it is not until the late 1800s that our modern idea of the magic show starts to be enjoyed and accepted. 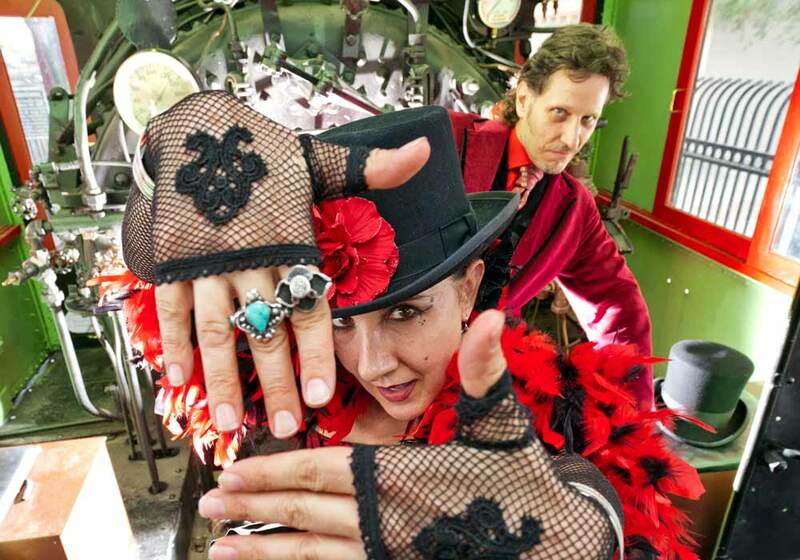 It is just this era that inspired Roland Sarlot and Susan Eyde in 2009 to reverse their artistic direction with their 1,000+ stage illusion show and introduced an intimate setting "parlour show." Their inspiration was based on the golden era of magic, and they began developing the show in 2004 when Roland was House Entertainer at Miraval, one of the world's top resorts. 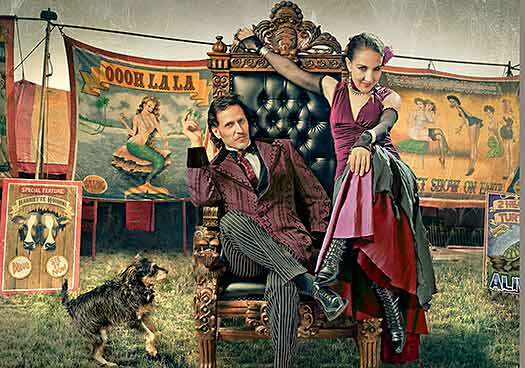 They called this new endeavor Carnival of Illusion, a hip Vaudeville-inspired theater show which played to 62 sold-out audiences its first season. My family and I went to this show and highly recommend it. It is certainly worth the price. We laughed so much. We sat in the second row but still could not figure out the illusions and the "secrets". We had a wonderful time, we're still smiling from your magic. We will certainly tell our "Desert Rat" friends about your show and hope we can catch you at the Biltmore sometime. Their performance was upbeat and very entertaining, with fascinating stage presence that encouraged crowd participation!